The above is a photo of a 51 year-old female, presenting with blurred vision in the right eye, getting worse over a period of one year. 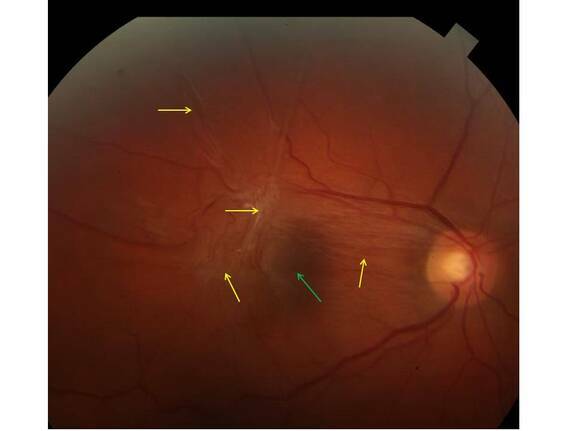 Upon examination, an extensive macular pucker (yellow arrows) was found spanning the macula (green arrow), with fibrous bands extending to the optic nerve. Vision was reduced to 20/160 and she was scheduled for vitrectomy and membrane peeling.